Last year, the name of Morning Musume’s Spring concert tour “Michishige SOUL11″ sparked speculation that Sayumi Michishige would be the next Morning Musume graduate. Shortly after, it was announced that the other 6th Generation member Reina Tanaka would be graduating instead. No one of the 12th gen applicants is strong enough to join Momusu. tsunku’s confidence is Momusu is amazing, but many old school Momusu fans don’t agree. Vocally, Momusu are at one of their weajest points and have relied heavily on autotuned, electro-pop singles to mask this. 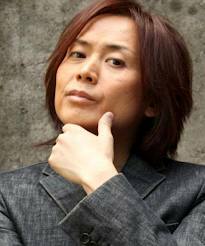 tsunku’s point about the 9th gen seems a little… insulting. Although he mentions the 9th gen’s improvement, it begs to question whether they will be first to go once the graduations kick in. I’m a big Platinum era fan, but a grievous error was made during this time. tsunku took too long to insert new girls into the group, leaving Morning Musume vocally weak and now heavily dependent on Ayumi and Riho’s dancing abilities. The current line up need to develop their singing ability. I agree that Morning Musume didn’t need new members, but why was everyone’s time wasted in the first place with the auditions? BIGGA RAIJI is a Japanese reggae artist. He released a mini album in 2004 called “Ikiyouyou” and a follow up in 2007 with “Appare”. He’s collaborated with a number of Japanese Hip-Hop, RnB and Reggae artists such as Maki Goto, RYO the SKYWALKER and Tiny & Bigga. Maki Goto featured BIGGA RAIJI on her “Sweet Black” track “Queen Bee”. To me, he will forever be known as the man who got stuck in her car in the video. 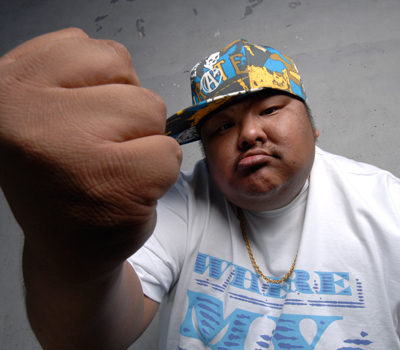 Not only was BIGGA RAIJI’s appearance slightly unusual for the Japanese music industry, but his rapping is fantastic. J-Urban isn’t the easiest genre to get into, yet BIGGA RAIJI’s album “Appare” is a fantastic work. From the pacey “Onaka no uta”, hanging off the phrase “Big Belly Man, I’m a big belly man”, and “Rock On”, it’s balanced perfectly by tracks like “Omou ga mama”. Also, “Queen Bee” is probably my favorite post-Hello! Project Maki Goto track. As an artist, BIGGA RAIJI doesn’t take himself too seriously, with a major selling point being his unusually large size and appetite. This adds to the chilled out feeling in a lot of his tracks, even if the joke does gets old. We’re still a few weeks away from 2011 being complete, but I’ve found this year to be the biggest test on my Hello! Project and Up Front Agency fandom. 2011 was the year where Hello! Project were going to make up for the mistakes of 2010. S/mileage were coming into their own. Morning Musume had it’s first new members added since 2007. And Dream Morning Musume were going to debut. But why did things not come off as planned? I can categorically say that since Maji Bomber, Berryz Kobo haven’t had a good single. The same about C-ute with Kiss me Aishiteru. Where focus has been put on the new Musume’s and S/mileage, C-ute and Berryz have suffered, and not even a joint single can save them. Under investment, aging members, I don’t think either group will be notching up many more sales – and I think S/mileage must have looked at their two sempai groups and got nervous. I think their stability may be the thing which is killing them. But, they have been booked up into 2012 (well Berryz and Buono! at least). Maybe if they release a few more interesting singles or properly merge into one super group… I no doubt think that Yuuka and Saki looked at Berryz and C-ute, thought “that’ll be me in 4 years time, I better go to university if I want to earn more money” – especially if they weren’t particularly interested in fame and wota. A focus into photobooks and DVDs has meant that I have little interest in these groups. I love Buono!. Their early singles were ace and I loved “Our Songs” with a passion. However, no longer linked to Shugo Chara, their latest singles have been boring and a little less rocky. Their mini-album was interesting, because it seemed to have a essence of K-Pop about it. Still, these girls have a long way to go to get anywhere close to where they used to be. A live in France is an interesting development, but we all remember what happened last time they were going to come to Europe. Let’s hope another recession doesn’t mess it up. The majority of singles from Hello! Project have been dire. Kiss Me Aishiteru, Maji Desu ka Ska, Uchoten Love and Kare to Issho ni omise ga Shitai! have been the only tracks to really write home about. Considering this, it’s also a massive shame that the “shuffle” single – Busu ni naranai tatsugaku is as boring and hell and simply uses the lead singers from each H!P unit (sans Mano Eri). What is the point? Kikkawa Yuu – you know? The girl from MilkyWay who could sing? Apparently she’s a solo artist! Is she a member of Hello! Project or UFA? Well there’s this weird agreement with Sony going on – but she was promoted by H!P promoted her at first. They seem to have abandoned her… but her singles are great. Yeah the Kikkawa Yuu situation is a weird one. What the hell is going on? Like 2010, I think 2011 has been pretty much a write off year for Hello! Project single wise. Although a few gems peek out, lack of consistency and a focus on photobooks and DVDs has marked a sharp shift in Hello! Projects overall aim, and have also made me question whether or not this is the idol collective for me. I don’t particularly have the “photobook bug” – I have a handful of the things. Nor can I afford, nor want DVDs of the girls in bikinis. I want great singles, something a lot of idol collectives (not just H!P) have lacked this year. But prep for 2012 is already done. I think Momusu fans understood that 2011 would be tough – 4 new members, Ai-chan leaving, and Aika out of action for the most of 2011 (which was not predicted). A lot of moves also made sense. Riho being pushed to the front. 4 new members being added. These investments will surely bare fruit in the future. I still think a Momusu live performance DVD is worth 10 of any other idol collective. I still remember of disappointment of watching an AKB live DVD. Yes, they do have better singles, they are more popular but there’s something inherently lacking for me which I find within Hello! Project, which is why I haven’t abandoned all hope. S/mileage will probably suffer a little from Yuuka leaving. She was their star player, and it will be tough, but getting graduations and auditions in place will strength the girls in the future. Berryz, C-ute and Buono! – I always doubt how much longer these girls have with Hello! Project, but considering they have international lives booked for next year, I’m impressed. Hopefully they’ll be allocated better singles. One person I haven’t mentioned is ManoEri… I think her music career has gone the same way as other Hello! Project solo artists, but she’s still considered an important member of H!P or she would have been graduated. I would have included Dream Momusu earlier in what I though was crap about 2011… their album was a major disappointment. But there’s something great about their live performances. Also, the fact that Maki Goto is “taking a break” from Avex and has also stated that she would love to be brought into DoriMomusu. Maybe it was a grass-is-always-green situation with avex, or maybe the huge changes in her personal life made her reassess her relationship with Hello! Project and UFA. I can imagine that there’s an awful lot of bitchyness and bullying, but there also must be a great support network, especially as the girls mature. Pure assumption, but I’d love to see the girls all perform together again! What would make my 2012 for H!P and UFA? This! Over the past couple of years, my interest in K-Pop has been growing. I won’t start with the K-Pop vs. J-Pop debate because for the most part it’s redundant. I also love 4minute – their lead tracks are insanely catchy, so when I heard there was a possibility they would hold a gig in London, regardless of who they were coming with, I wanted to go. It’s a good “rock” venue, or raving venue, but for squeaky clean K-Pop… err it’s a bit of a dive! This being said, this hasn’t put me off going – Brixton has very good transport links and I can get a train directly to the venue. The thing which has really been the deal breaker is a combination of the ticket prices and the relatively short performance each act was given. As InsaneLampshade has pointed out on twitter, the ticket prices are the same in the UK as they were in Korea – which works out as £65 before any additional charges are applied, e.g. booking fees, having the tickets posted… once you’ve added that on, the tickets climb to around £70-£75. That is a terrible price. Furthermore I’ve heard that the performance will be around the standard hour and a half for the 3 acts combined (4minute, Beast, G.NA) – although I can’t find this confirmed, this is usually how long J-Pop/Rock concerts are with one act. To try and put the price into context, I paid £35 to see Paramore at the London O2, who were supported by B.o.B and some act I’d never heard of. That concert finished at 11. I paid £50 to see Gackt at the Islington O2, and despite the price, those tickets sold out within minutes. Demand + time frame does not equal the ticket price in this scenario. The ticket price should be half of what it is (at least!) and United Cube should concentrate more on selling merchandise, like most concerts do. Or they should have chosen a small venue. Hopefully other K-Pop agencies wanting to bring acts to the UK will take more to the “when in the UK, use UK ticket prices” but until they do, it looks like the United Cube will be looking out into a pretty empty crowd on December 5th. According to a translated post on Arama Johnny’s Entertainment are being pulled out of leading roles in J-Dramas. I wouldn’t call myself a die hard Johnny’s fan, but I do have a lot of time for them, and I also have a lot of time for dramas. I probably haven’t watched something starring a JE star since Uta no Onii-san in 2009. The Japanese public seem to have coined on to the idea that just because someone famous appears in the drama, it doesn’t essentially make it good. It’s also quite amusing when considering this coupled with the sudden surge of AKB in drama. Hana Kimi 2 (which had one of it’s supporting roles played by Ikuta Tomo, a JE actor) has got dire ratings – and deservedly so as it seems like a selection of female cast popularity over series and male casting quality. Putting a large number of members of a female idol group dedicated to wota fanservice into a reverse harem drama which the subtitle is “Ikemen Paradise” is completely nonsensical, especially when members of that idol group need a few more acting lessons. And despite this, JE still have a lot more roles than most other idol groups. In short – I don’t really think they’re in much trouble as some talent agencies would like to think. Maybe they’re just being more selective and not putting their talent in every drama available and chosing quality scripts and production teams in future over shows with sliding ratings.